This Poster Frame is Great for Quick Signage Change! Use this Display for Restaurants and Retail Stores! 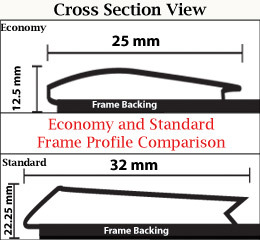 This Poster Frame Has A Thinner Profile for Lower Price Points! 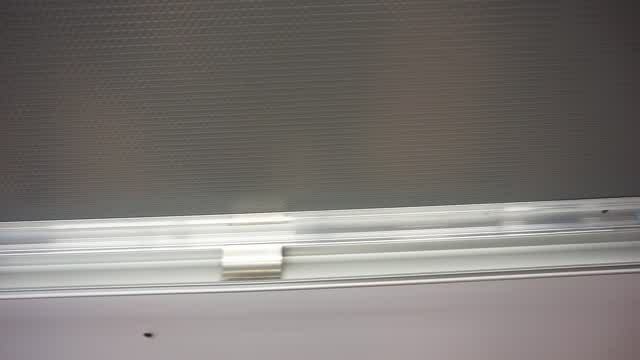 Mounting hardware included to hang frame either horizontally or vertically. 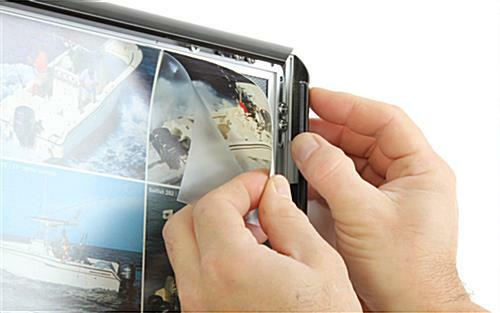 Non-reflective, plastic lens protects prints from damage. Four snap open sides make signage change quick and easy. 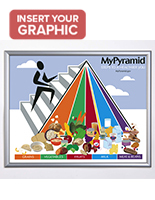 This poster frame is ideal for retail display use. 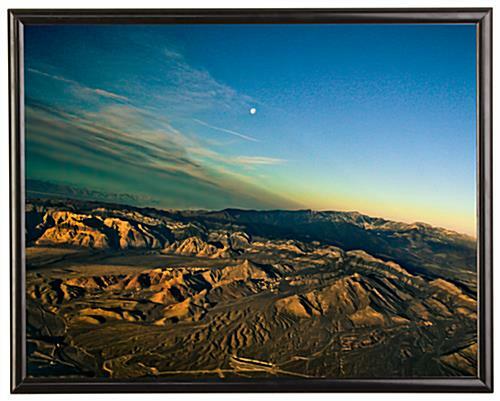 Save money on this picture display that is available at lower price points. 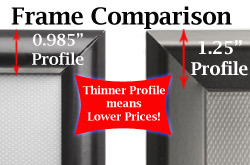 This cheap poster frame has a thinner profile (0.985" vs. standard 1.25") so it is flimsier than regular displays. Once this snap display is mounted, it works just as effectively as similar products. This affordable poster frame makes it easy to change signage, simply snap open the framing and slide custom art or prints underneath the non-glare protective lens. 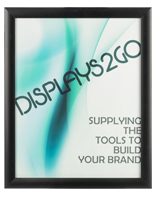 Save even more money by buying this display in larger quantities. 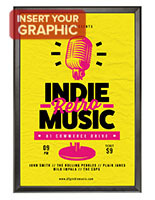 This discount poster frame has a matte black finish that really meshes nicely with any décor. This display is perfect for retail usage. 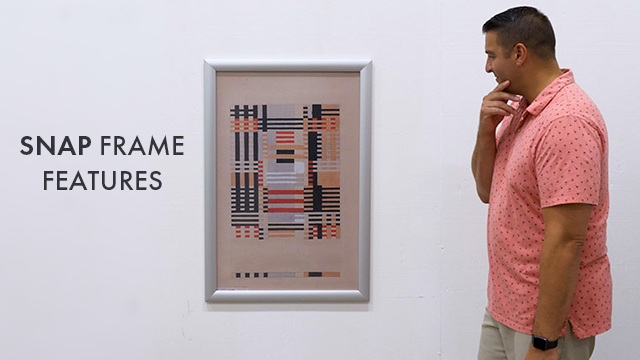 This inexpensive poster frame can be wall mounted both vertically and horizontally. 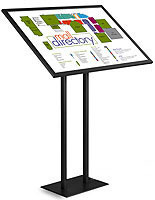 Improve signage right away for your business by ordering these displays. This black snap frame will save both time and money, and is a great purchase for any shop that is constantly changing signage. The matte black finish on this snap display will accent any photo nicely. Keep prints protected in this discount poster frame with the included protective lens. 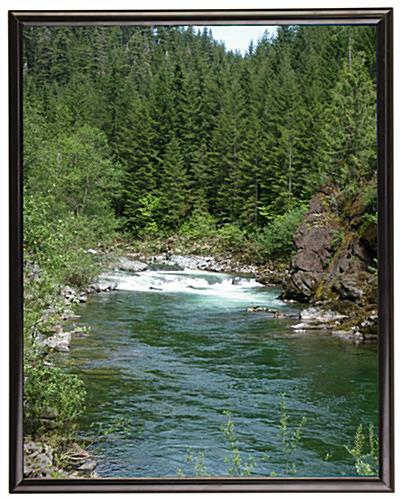 This display with snap framing can be utilized for a wide variety of settings. 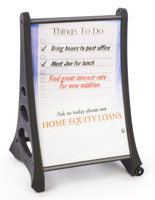 Order this poster frame that snaps today to save money and improve signage!